The movie was released on over 4352 screens in India and 1100 screens overseas which were enough to create a big hype. Whatever good can happen with the timing and clashes of date, has been happened with the film. From getting a 5 day long weekend to great success for songs, the film had made everything it had to be. Getting an Eid release was the best thing happened with the movie. Fetching a massive 70% occupancy on the opening day was a great thing which should be applauded in all senses. The opening day trends had somehow suggested that Bollywood might see a new record as opening day earnings, but it won’t happen. A possible reason for downfall during the evening shows on Day 1 was Eid. Sale of broadcasting rights was also a big positive for the stars. According to reports, Just from the sale of rights the talkie producers had got a substantial part paid back. Over the period of twelve days, Sultan collection swas successful in beating many existing records of Bollywood. But when the actor is Salman, Eid couldn’t be down for him. The moon comes with a pool of happiness for the actor where the film was able to earn huge on the Day 2 as well. Performing with not less than 30 crores during the entire 5-day long weekend is something which makes Salman Khan different. 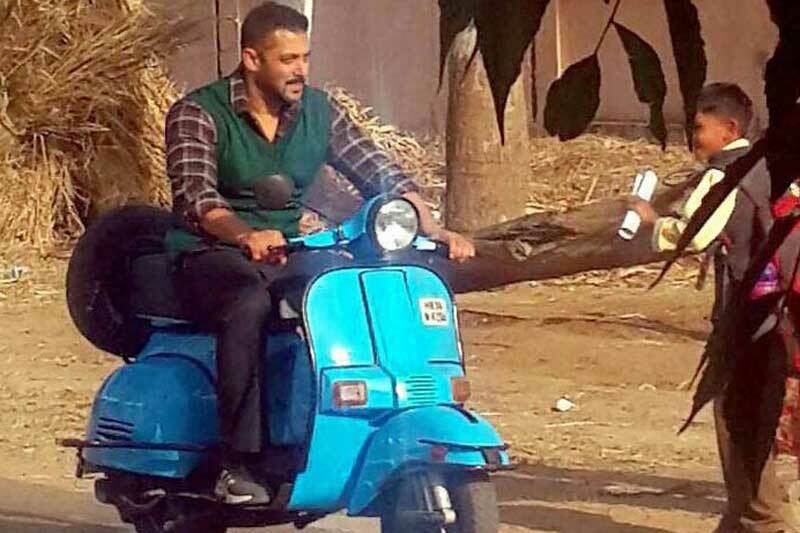 Earning over 36.54 cr net on Day 1 itself, the flick remains behind PRDP and Happy New Year. HNY had earlier made over 44.97 crores on the opening day while earnings of PRDP remains around 41.75 crores. Getting a tremendous response from Muslim countries because of Eid. Sultan box office collection remains highest ever opening day number in Pakistan (2.2 cr, 3.45 cr PKR) and Gulf (1.4 million $). Film took the outstanding start, and it collected 37.32 cr nett as single screens were a lot better than day one. Monday was great for the movie as only 50% drop has been observed in the overall collections. Occupancy trends were same as of Friday’s, but the ticket price had been almost halved. The reduction in ticket prices had to make the flick suffer a significant loss. Despite everything Movie collected 15.54 cr nett on Monday which was super stable remaining only option to be watched for a week. On the subsequent week, Sultan collected 12.92 cr nett on Tuesday followed by 11.10 cr nett on Wednesday, 10.82 cr nett on Wednesday and 9.52 cr nett on Thursday. The trends were positive as they led the film collecting 229.94 on extended weekend till Thursday (9 Days). Despite a couple of new releases film including Great Grand Masti of Riteish Deshmukh managed excellent numbers on second Friday. The upcoming weekend was judgemental as it was going to highlight the exact situation. Talkie performed below the expectations on the 2nd weekend by earning 7.43 cr nett on Friday which was a decent hold and then collected 11.46 cr nett on Saturday with a big jump but lower than of Monday’s. Collection again took a hike on Sunday and goes to 13.90 crores nett earnings. Film collected 32.80 cr nett in the second weekend, and it should collect 50 cr nett plus in the second week to achieve the target of 500 crores worldwide. On Monday, film observed a huge drop. Earning mere 5.91 crores was below the expectations. The film will have to manage a lot for sustaining a week more. The flick collected a total amount of 13.7 million $ (91.93 cr) over 5 days extended weekend. Film collected 17.46 million $ (117.15 cr) in 1st week in overseas. after the leak of sultan ,, thae film.collected 15cr on first monday. which was a very big downfall … if it woud havn’t bbeen leaked ., it would hav earn abt 27-33 crr… for sure & after that the business of movie can’t lift up..
other wise this is that movie which can break PK record.. Yes shubham and we can’t forget 1 more reason, pata nhi yar media wale aur logo ko ye pata kyu nhi chal pa rha k is samay purey hindustan me zabardast barish ho rhi hai aur kum collection k liye ye sabse bada reason hai……otherwise the whole scenario would be different…..
i dont agree coz when a film releases i get that film’s hall print from torrent that very releasing night… so leaking didnot affect that film that much !! I tell u what happened with sultan, content was very bad, film’s pace was slow and was a predictable movie compared to his last’s eid release !! Thats y people rejected this movie to earn even 300 crore!! Kya farak padta hai dostoin 15 karre ya 25 he will and other khans will always bark and continue to bark despite you give them your heart and soul…. Pitty on people including myself who has contributed for their success without realizing that everytime they keep their foot on your feelings by barking and barking and barking…. Poor content, not the leak that affected this movie. It’s Salman and the hype gave this much collection so far, otherwise it would have been trashed by public because bhai’s good time is not yet run out. Outlandish story and unnatural characters challenge the sensibility of the upper class audience..
Bajrangi Baijan looks classic in front of Sultan. the crap. And Bollywood always deliberately forgets what Bahubali achieved in India and overseas. The most successful Indian movie so far in the history of India.